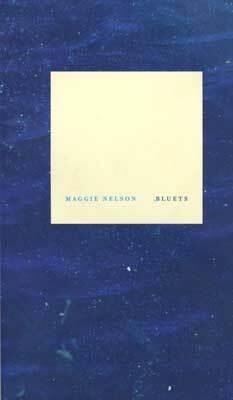 With her usual ethical precision, Maggie Nelson’s Bluets (2010) effortlessly navigates the slippery terrains of grief, longing, love, lust, & looking as filtered through her obsession with the color blue. Although the 240 blue thoughts, facts, & feelings are arranged in list format, many of the prose fragments began as poems. In an interview, Nelson explained: “I was so taken with the form, tone, and locutions of Wittgenstein’s Philosophical Investigations that it took me awhile to realize that the form for Bluets was right there…I basically took half of the book’s locutions from Wittgenstein, and the other half from Goethe: the anecdotal locutions about perception come from Theory of Colours, and the relentless form of self-questioning, of pulling the rug out from under the speaker each time she has come to perch, comes from Philosophical Investigations.” In this excerpt, Nelson discusses the blues of Joseph Cornell’s Rose Hobart, adapted from the movie East of Borneo.